A showcase of featured cars. Show us yours and maybe get featured here. This entry was posted in Readers Rides on May 7, 2018 by Brian-PFYC. This entry was posted in Readers Rides on July 27, 2017 by Brian-PFYC. “Hybrid car” doesn’t mean the same thing to different groups of car fanatics. For the tree-hugging types, hybrid is all about saving the environment, reducing carbon footprints and having the ability to switch between electric and gas operating systems. Which is fine, if you’re into that sort of thing. But you’re reading this blog, so probably not. For those who love muscle cars, hybrid has an entirely different meaning. It’s more about style…yet also about substance. To Dodge Challenger owners, hybrid isn’t about changing the engine to reduce emissions – it’s about bringing a Hellcat attitude to the exterior appearance. PFYC.com, the leader in Dodge Challenger performance parts, has helped Challenger owners give their cars Hellcat makeovers for years. This blog will highlight some of our customers’ favorite parts – Hellcat hoods, spoilers and more. 2015 was a banner year for the Dodge Challenger. Not only did the base Challenger show improved engine performance and a host of other enhancements, but Dodge also introduced the SRT Hellcat, with a 6.2-liter HEMI engine, with more than 700 HP. This created a dilemma for some Challenger owners; keep my ultra-cool Challenger, or upgrade to the Hellcat? In the history of “win-win” scenarios, it’s hard to imagine a wrong choice. Yet still…for those who already had the Challenger, it was awfully tempting to make the jump to the Hellcat. Yet Dodge and some aftermarket performance parts manufacturers offered the ultimate compromise: parts and accessories (interior, exterior, engine) that gave an unmistakable Hellcat appearance, without having to purchase a new Hellcat. And that’s how the “hybrid” Challenger – Hellcat was born. PFYC.com still offers some of the most popular Hellcat parts and components. We were at the forefront of the Challenger – Hellcat modifications back in 2014 – 2015, and we’re still going strong today. So what are some of our (and your) favorite Hellcat accessories for the Challenger? Keep reading! Aggressive angles, advanced aerodynamics, super-cool styling – for the ultimate in performance and value, it’s hard to beat this Hellcat Lip Spoiler. Spoiler alert: many Challenger owners choose to go the spoiler route. Not many upgrades supply such a dramatic, different look. And fewer still scream “Hellcat” like this cool accessory. It’s not only designed to fit your Challenger like a glove, it’s also made of strong yet lightweight carbon fiber. So you get all that extra style without all that extra weight! Designed to fit the latest Hellcat, you can also spruce up your Challenger with this contoured hood that’s anything but conforming! All the rules are pushed to the limit with this high-performance hood. Deep air vent pockets and a sleek blower bring extra air into your Challenger’s engine, and the hood’s meticulously engineered aerodynamics help reduce drag and increase speed. 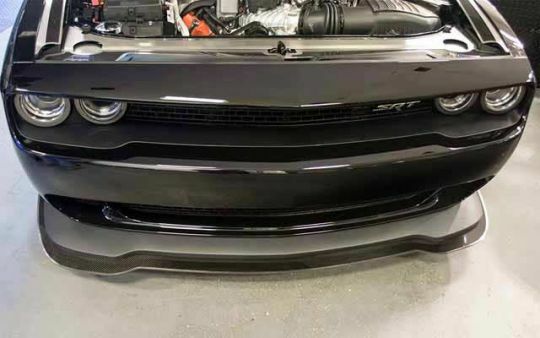 Your Challenger may not have the 700+ HP of an SRT Hellcat, but it’ll sure look like it with this hood! Made by American Car Craft, this firewall has the timeless appeal of chrome with the rigidity and long-lasting characteristics of stainless steel. 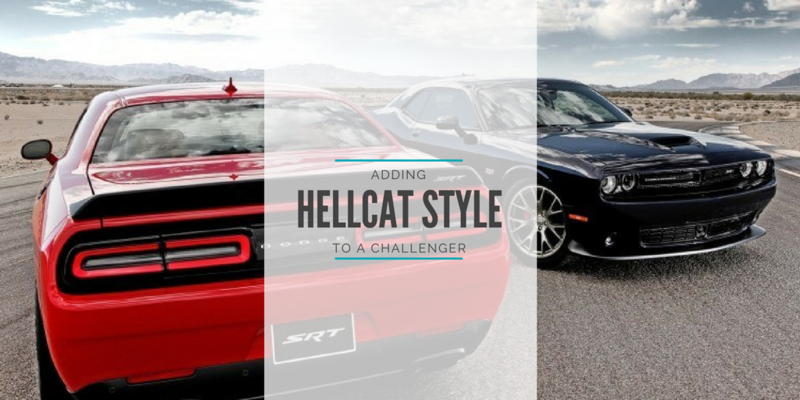 Many Hellcats separate from the Challenger the moment the hood lifts up. If you’re looking to upgrade your Challenger with a true Hellcat-inspired accessory, look no further than this easy-to-install firewall. It won’t rust, won’t fade, won’t allow harmful flames into the driver’s cabin – and won’t take a back seat to any other Hellcat accessory. Low profile meets high performance with this Hellcat inspired accessory. 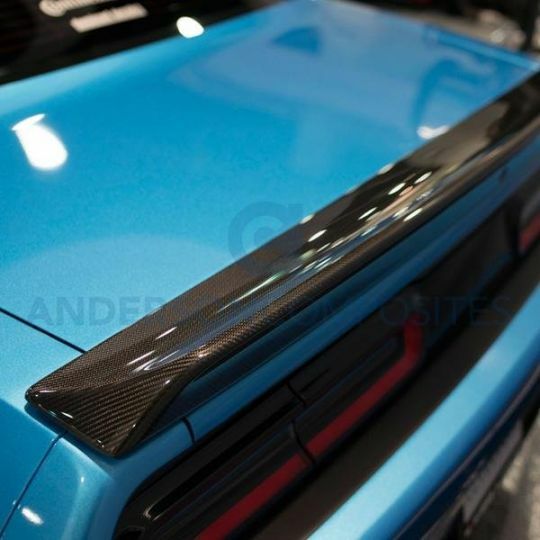 Manufactured by Anderson Composites, this spoiler features effortless installation, long-lasting value and super-strong carbon fiber construction. Get rid of your heavier, bulkier Challenger spoiler and try this one on for size instead – your 0 to 60 time will thank you! When used in conjunction with other Hellcat exterior accessories, this spoiler makes the ideal back-end complement. A complete Challenger to Hellcat transformation isn’t complete without the smallest details. So don’t forget about your splash guards. No drilling, no glue – just use the factory mounting holes and you’re good to go. Simple, streamlined, straight out of the box – Hellcat upgrades don’t get much easier than this! 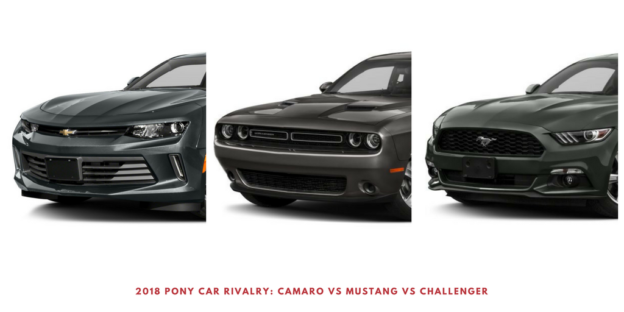 PFYC.com is your Dodge Challenger Hellcat headquarters. 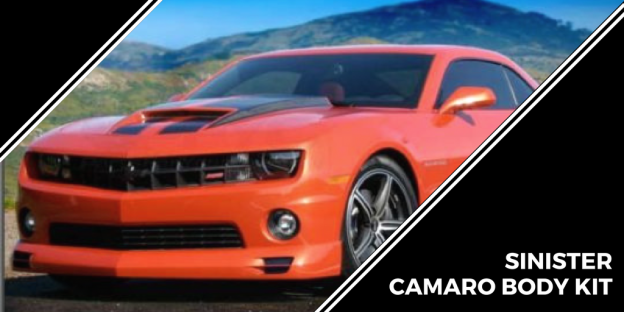 Our selection of Dodge Challenger and SRT Hellcat accessories is second to none, and our knowledgeable staff is here to answer any questions you might have. Just give our Hellcat and Challenger parts consultants a call at 866-695-7392. 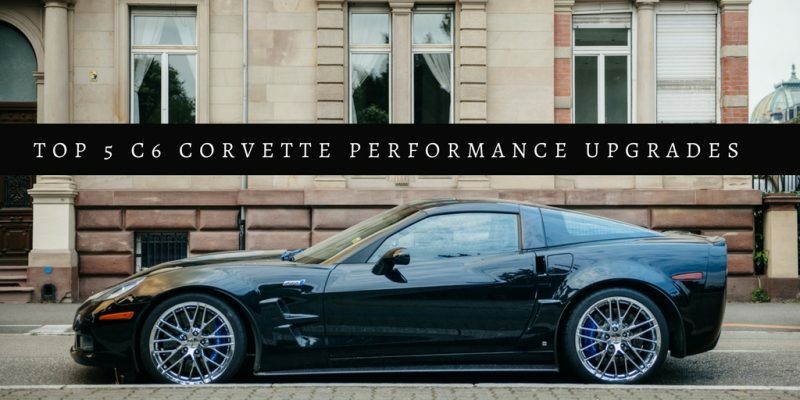 From classic components to the latest accessories, PFYC.com always delivers on our promise of providing the absolute best custom-made performance auto parts at prices you can’t pass up. With our famous Low Price Guarantee and value-added Rewards Program, we offer all of our customers – auto body shops, dealerships, and Challenger – Hellcat owners just like you – superior service and an astounding selection of parts. Thanks for reading the PFYC.com blog, and check back for more info about new products, DIY projects, auto tips & tricks and much more! This entry was posted in Readers Rides on March 29, 2017 by Brian-PFYC. This entry was posted in Readers Rides on March 8, 2017 by Brian-PFYC.